Why is this not considered anti social behaviour? 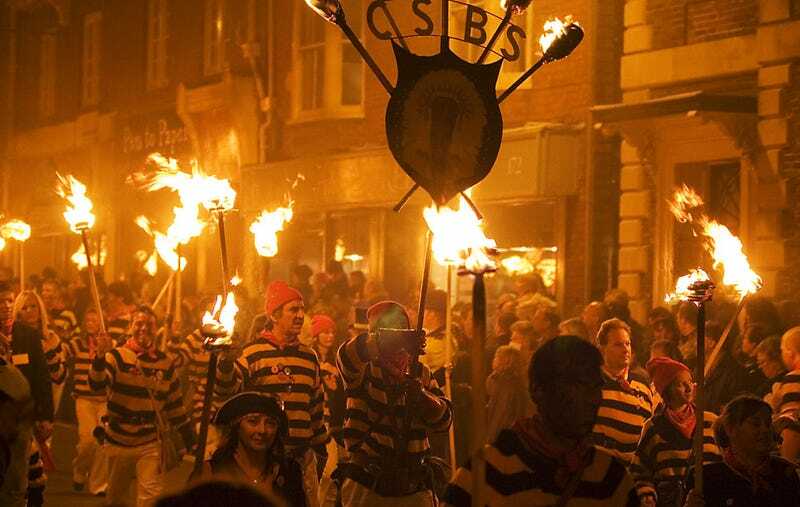 It's because I live in Lewes and here we hold the biggest bonfire night celebrations in the world (probably!). The roads close, the shops shut at 4 and getting in and out of the town is nigh on impossible for about six hours, we can expect nearly 100,000 visitors and the only thing I can liken it to is a rock festival, with no music, happening in your street. Barely controlled chaos with fire in other words. Mental. As well as commemorating the Gun Powder Plot the night also commemorates the burning of 17 protestant martyrs during the Marian persecutions of the 16th century. I'd read about it on the wiki or on one of the many, many websites if you are interested. Come on then, what is your town famous for? Pictures would be nice!